Hi, Duffy Brown here and Halloween is just around the corner. I finally brought my candy because if I buy it too soon there is no candy left to pass out. I love candy bars. I try to buy one that I don’t like but that doesn’t work as I like all of them except those almond joy thing but if I gave them out of Halloween the kids would egg my house for sure. 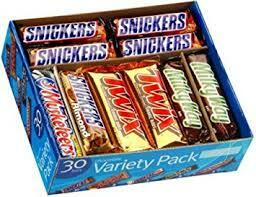 I have an assortment of Snickers, Hershey bars, Reese’s Cups, Skittles, Kit Kat. That should keep everyone happy. 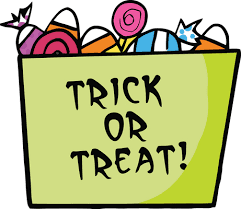 I told my daughter in NYC that as soon as the trick or treaters left I was dumping all the candy in a box and sending it off to her and get it out of my house! 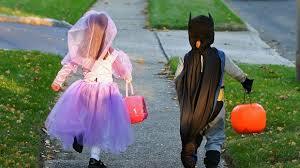 I love passing out the candy maybe because I enjoyed going trick or treating so much as a kid. I remember coming back home with my cousin and BFF Barbie and we’d dump all our candy out in front of us and then start trading. Something like two Smarties for a Snickers was how it went. After a week or so the good candy got eaten and the rest sat around till Mom tossed it out. 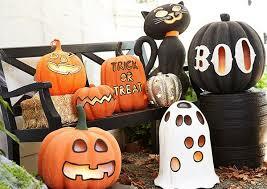 So what are you passing out to the trick or treaters this Halloween?